If you expressed an interest in LibCamp UK13 you'll know that the free tickets for this years event are available now. Our wiki is up and running....ish. We're having some teething problems, actually more like root canal surgery problems, with wikispaces and our IT tech guru's are working on a work-around. It's really important for us and for you that we establish a session proposal page that we can all add to and edit. Right now the only way users can edit the page is by joining the website, logging in (no mean feat in itself), finding the LibCamp UK13 page (among seemingly countless other library camp pages), clicking the right button to show controls and then pressing the edit button, easy huh! We're in touch with the wikispaces team to try and solve the problem, in the mean time have a look around the site make yourself at home. 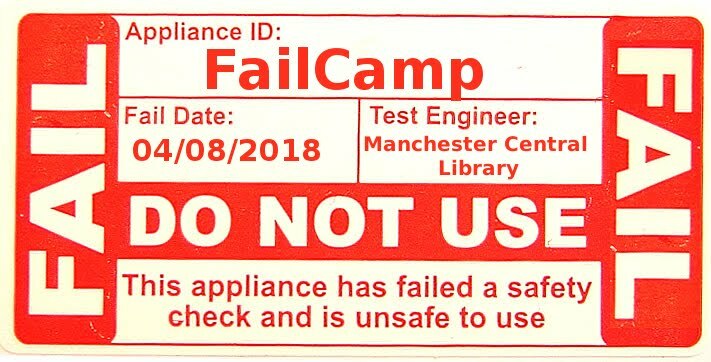 At some point within the next two months we're almost, absolutely, certain the good ship LibCamp.wikispaces will be at full power and ready to accept your proposed sessions. UPDATE: Session proposal page now up, big thankyou @ijclark. Follow the link from the wiki.